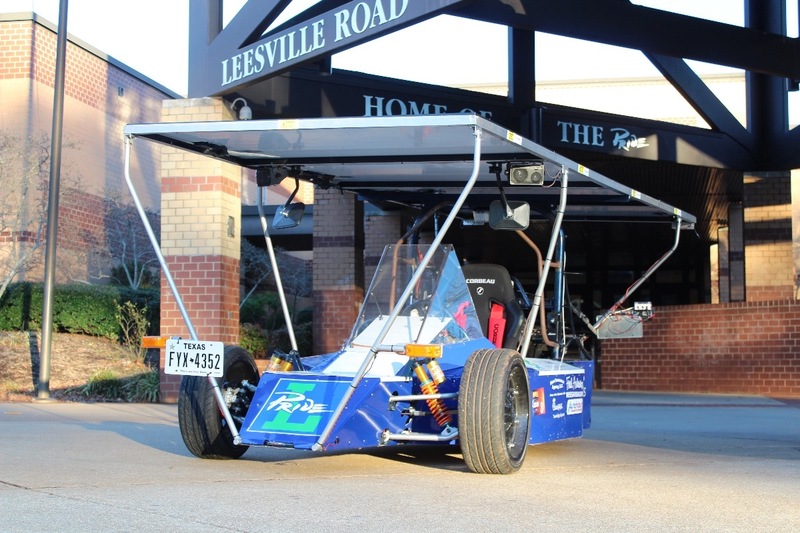 Who we are: The Leesville Solar Car Team was founded in the fall of 2016 by a handful of Leesville’s engineering students. We are comprised of high school students ranging from 9th-12th grade. Our lead advisor, Carlos Bezerra, is also the CTE engineering teacher. We come together with a passion to apply our knowledge of STEM towards constructing and racing a solar car. 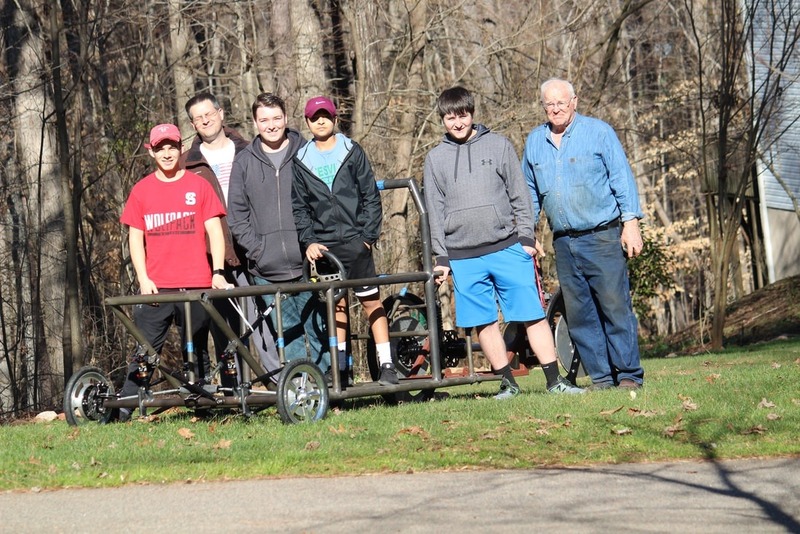 Our purpose: Our goal is to construct a second, more efficient solar car to compete in the International Solar Car Challenge in Fort Worth, TX in July of 2019. 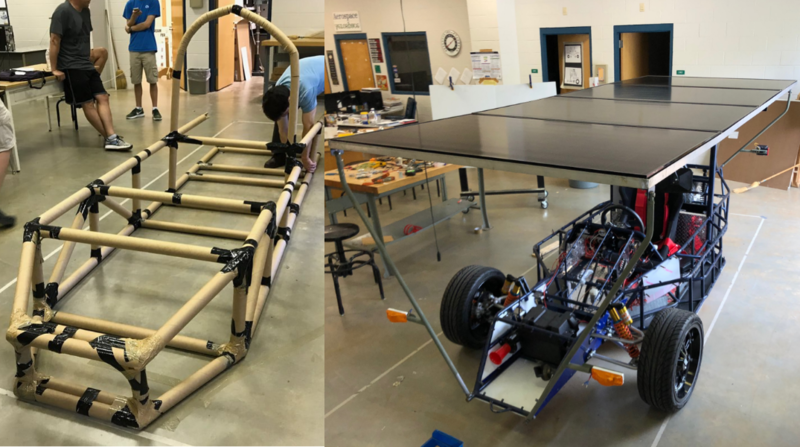 After constructing our first solar car, we traveled to Texas and entered in the 2018 Solar Car Challenge this past July. Our vehicle passed scrutineering, and we gained priceless experience pertaining to the construction of a competitive solar car. We chose not to race, and decided to redesign our machine to the highest standard. Title Photo: Exactly 33 days from the beginning of construction, we have produced the overall frame for the car. It is now ready for drive-train components and the electrical system. Why we need your help: While we are using some parts from our first car to maintain financial efficiency, the cost of materials and new, high-performance components adds to a slightly daunting amount! 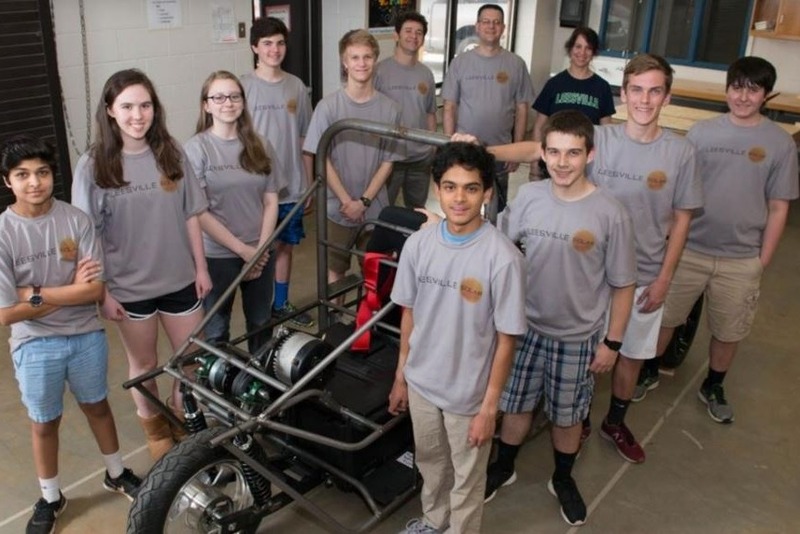 In addition to the cost of construction, funding the trip to the competition this summer is a challenge in itself. However, the clock is ticking and we simply lack the capitol to commit to the 2019 race as of now. 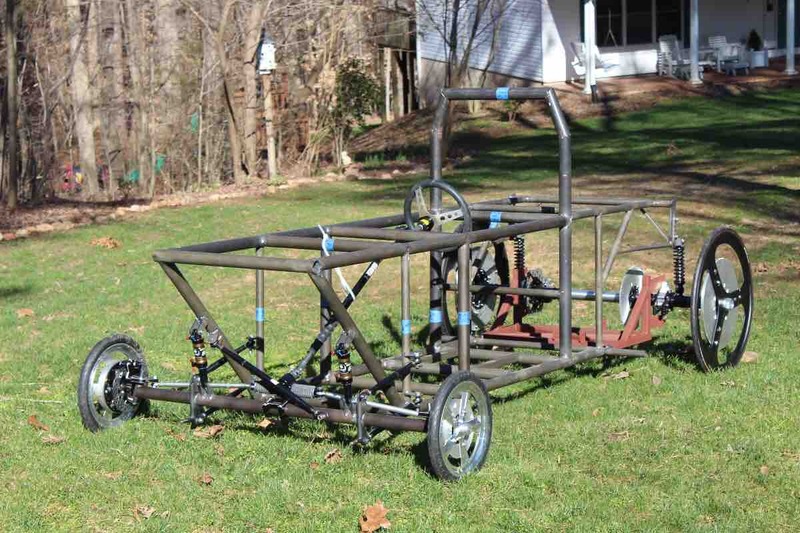 We need $2000 to finish the car (cost of solar panels and batteries), and we need a minimum of $5000 to subsidize our travel expenses. If you are currently unable to support, we completely understand. Your interest in our project means the world. Please continue to follow us as we progress in the world of EVs and engineering! The construction team accompanying the new frame on it's first time ever rolling on 4 wheels! Pictured below is the process of creating a rough frame prototype in order to map out major components, and then the completed car (Original Car).